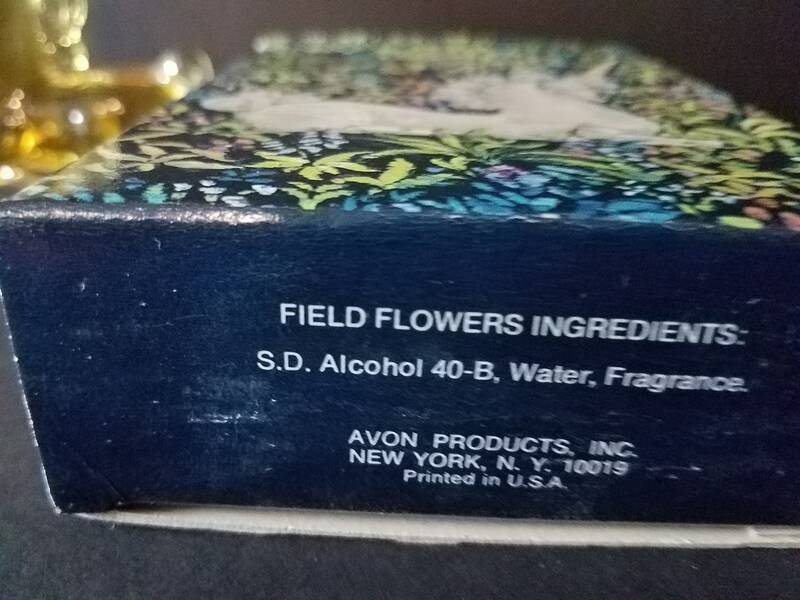 This collectible decanter was made in 1974-75 and is filled with "Field of Flowers" cologne, still. 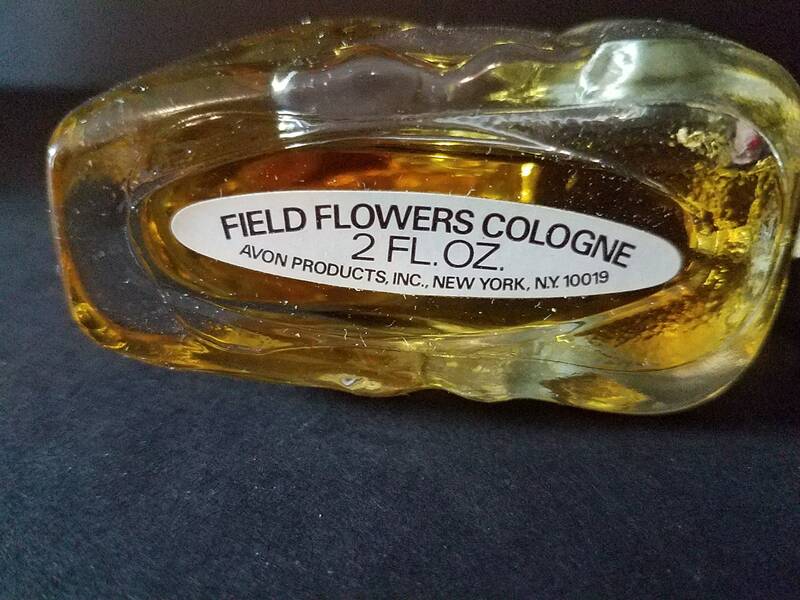 It has 2 fl. oz. 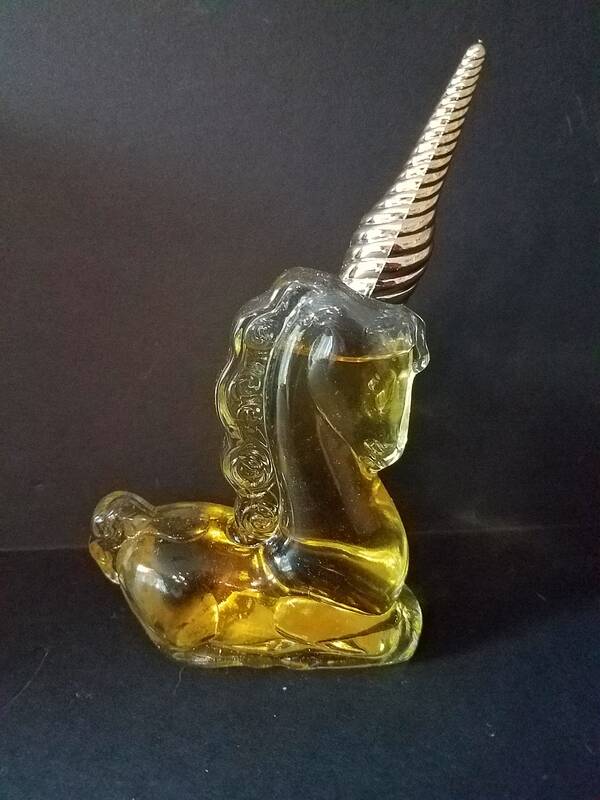 The unicorn is clear glass and she has a golden horn which is the lid. 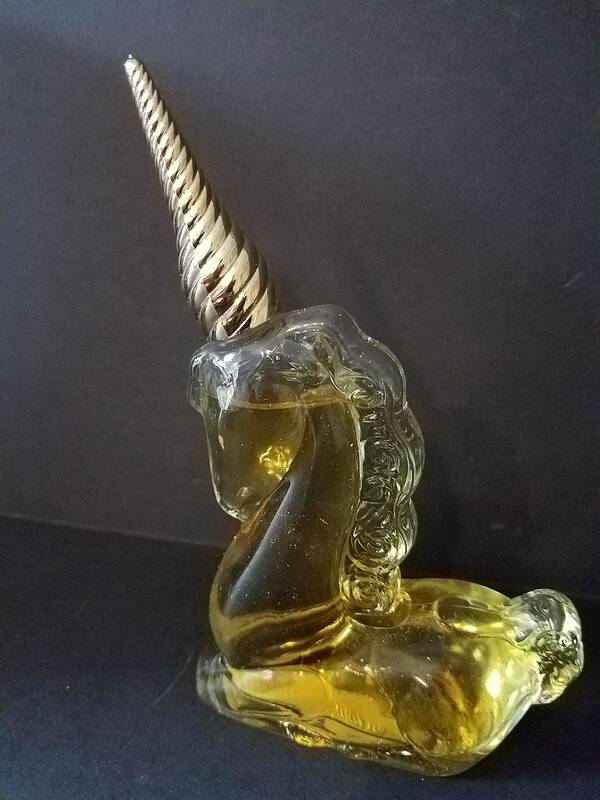 It is 6" tall, 3.5" long and 1.5" wide. 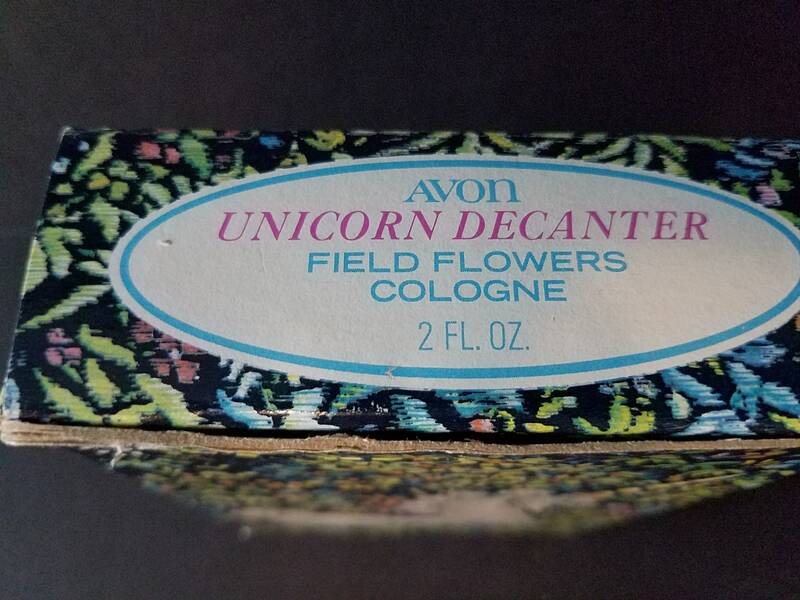 Has the original box which is in great vintage condition. 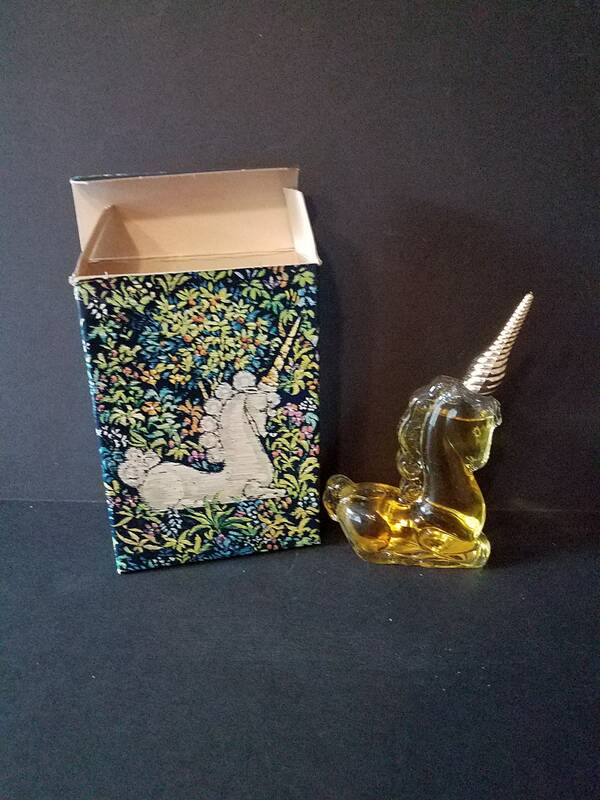 The box has a picture of an old famous unicorn tapestry on it with a dark blue background and a white unicorn. The box is 6.25 x 4.25 x 1.75".